Ranveer Singh starrer Gully Boy was one of the greatest starts of the year 2019. The audiences were head over heels for the movie and the actors were widely applauded. Apart from Ranveer and Alia Bhatt, Siddhant Chaturvedi aka MC Sher shined out like a gem. While fans across the country showered their love on the actor, Siddhant received rave stunning reviews from the critics as well. Now, reports suggest that the actor has been signed on by Yash Raj Films’ talent management division. 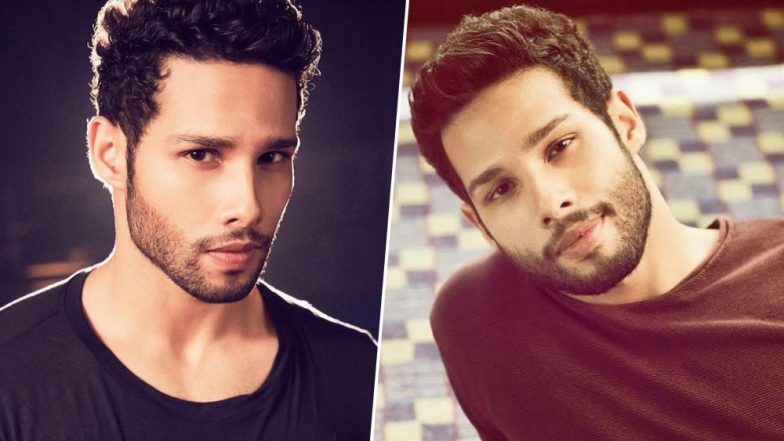 Gully Boy Actor Siddhant Chaturvedi Is a Die-Hard Fan of Tollywood Star Allu Arjun! This Viral Video Is Proof . Siddhant became overnight fame with his performance in Gully Boy. Ever since the movie was dropped, fans could not help, but wonder about his upcoming projects. To stir more excitement among the fans, Filmfare has published a report claiming that the actor has been roped by Yash Raj Films’ talent management division. The Gully Boy star becomes the latest actor to come on board this reputed talent management team. The team also handles prominent and successful names from the Bollywood fraternity including Ranveer Singh, Anushka Sharma, Arjun Kapoor, Parineeti Chopra, among others. Siddhant Chaturvedi Says True MC Sher is His Father, Gully Boy Actor Opens Up to Humans of Bombay. Rumour mills have further churned that Siddhant has already signed his next film, which will go on floors in 2020. Well, we really hope to see the handsome and talented man back on the big screen, real soon!